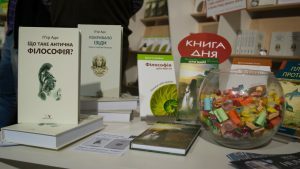 The Publishing House of New Acropolis Ukraine, presented for the first time its books on Philosophy at the Arsenal 7th International Book Festival in Kiev. Among many others, the New Acropolis stand presented a selected collection of works by modern thinkers such as Pierre Hadot, Jorge Angel Livraga and Delia Steinberg Guzmán. 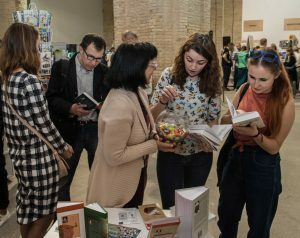 Festival visitors were able not only to buy exclusive editions, but also to attend the book presentation by renowned French philosopher Pierre Hadot “What is ancient philosophy?”, and “The Veil of Isis” by expert translators from Ukrainian Sergiy Yosypenko, Ph.D. and Oksana Yosypenko, Ph.D.